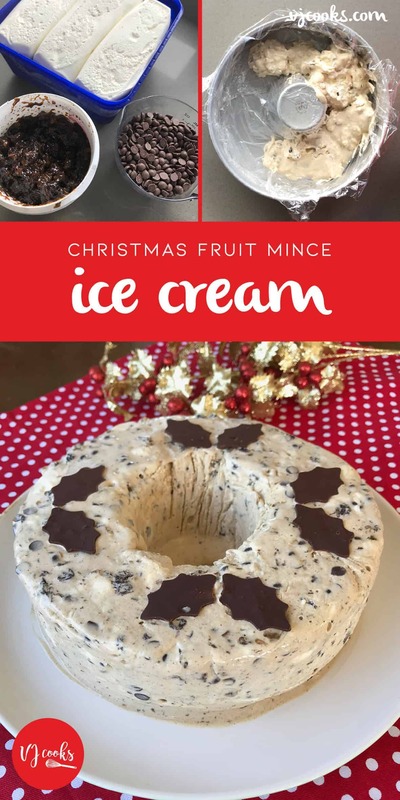 If you love Fruit mince tarts you will love this easy Christmas ice cream, with only 3 ingredients and you can add a splash of rum if you like. 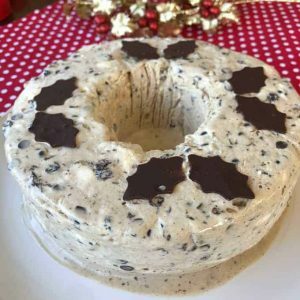 This Christmas ice cream as a favourite in our family, my mother-in-law calls it her special recipe. 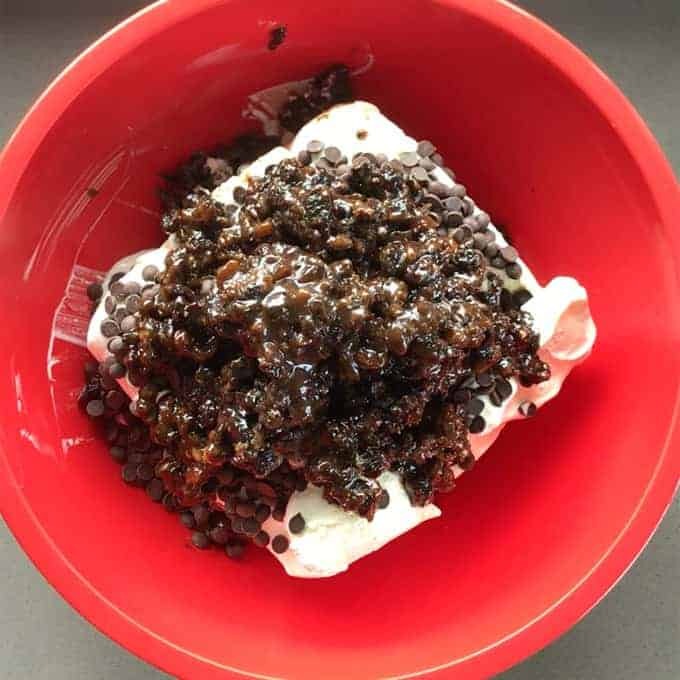 With only three ingredients you can really jazz up a tub of plain vanilla ice cream with fruit mince and chocolate chips. 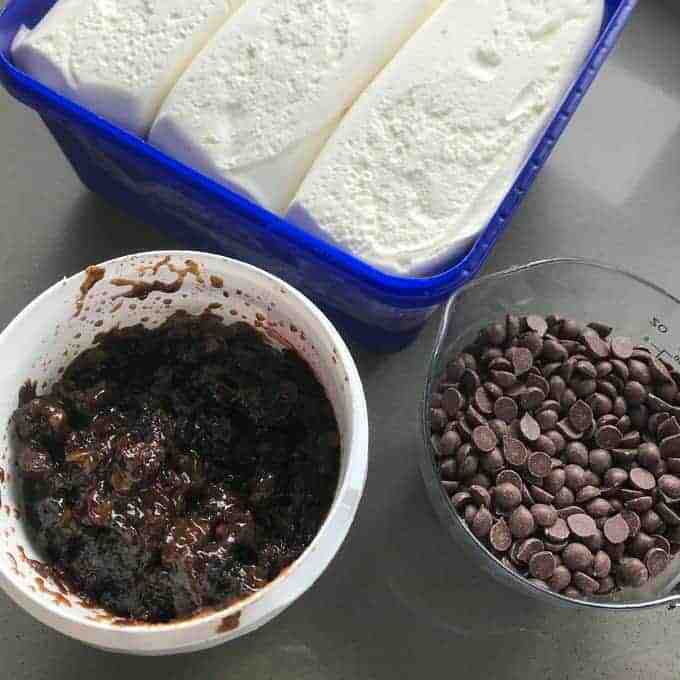 If you want to serve it in scoops you can mix it up and then put it back into the container then freeze again until ready to serve. I serve mine in a ring tin to make it look a little bit special and I also garnish it with some chocolate shaped leaves for a bit of festive wow factor. You could use any kind of chocolate chips: dark, milk or white chocolate depending on what is your favourite. You can buy tubs of fruit mince at your local supermarket. 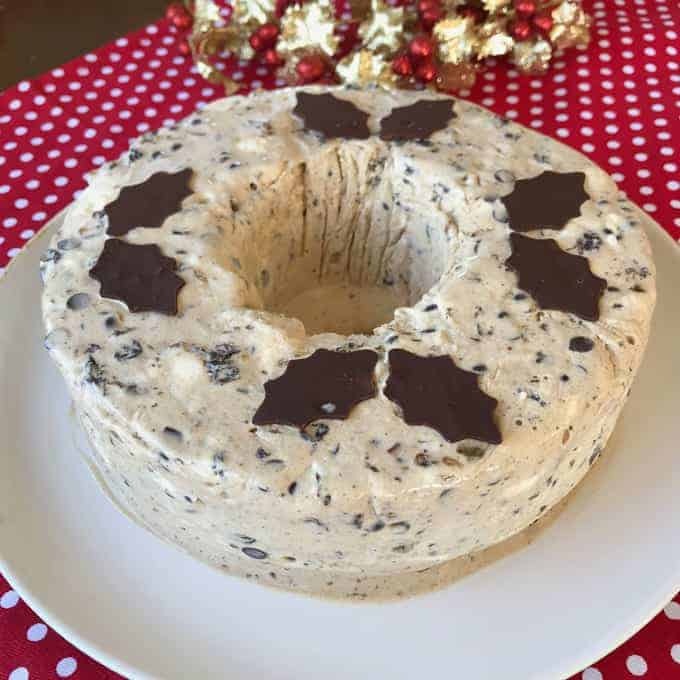 This dessert goes so well with most Christmas puddings. 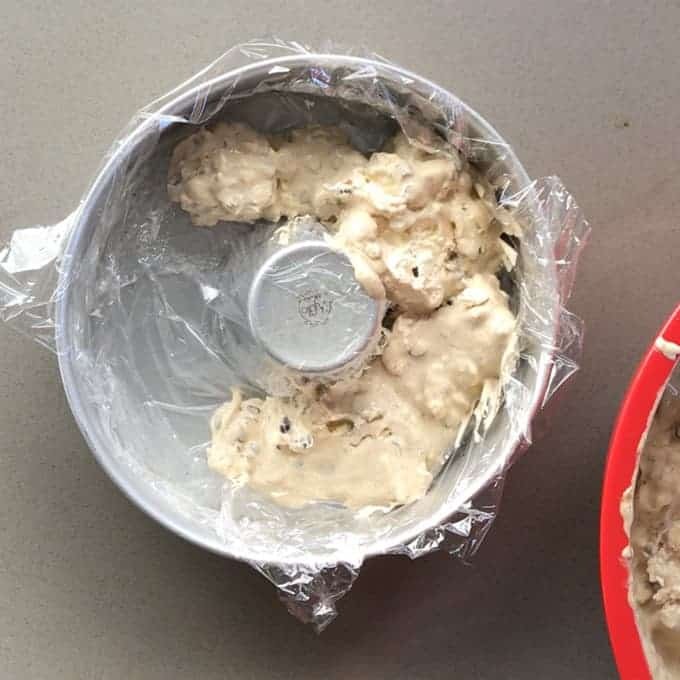 Remember to line your tin with cling wrap otherwise it will be difficult to get the ice cream out and onto a serving plate. 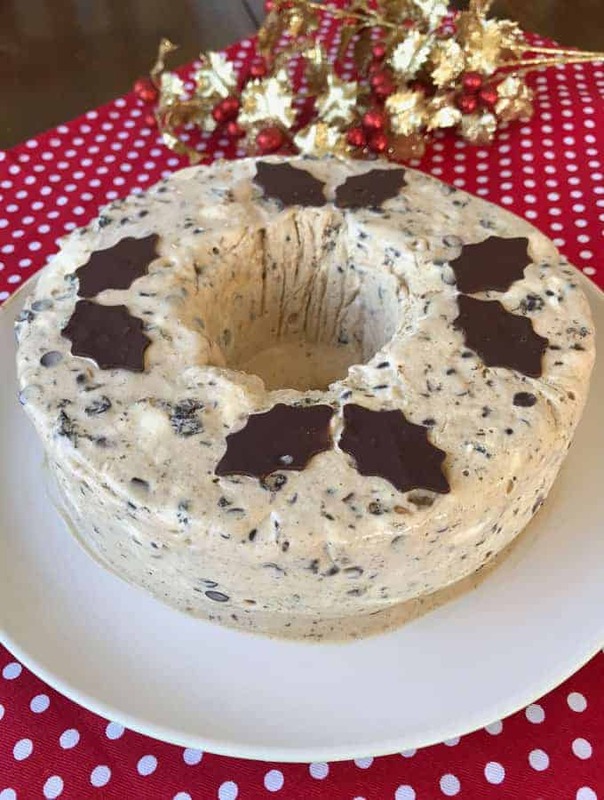 Pour into a ring baking tin lined with cling film and push the ice cream to the edges. 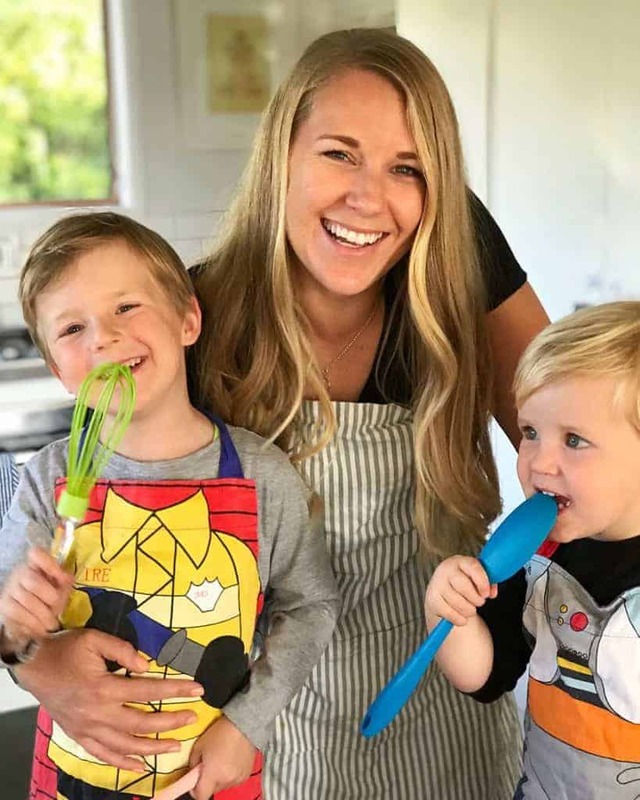 Freeze until ice cream has set and then serve. You can top your ice cream with chocolate leaves if you like or crumble over flake.